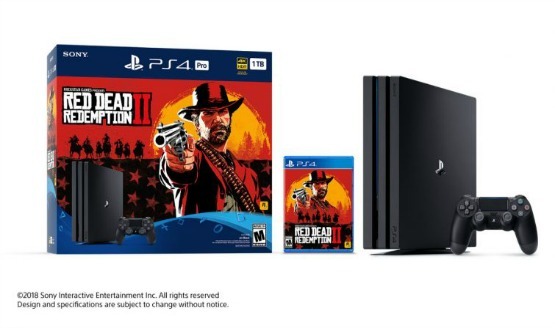 Alongside Red Dead Redemption 2‘s October 26, 2018 launch comes this PlayStation 4 Pro bundle. It could be a system seller for those who have been waiting to join the Sony side of this generation. For others who are already PS4 owners, this may be push you need to make the upgrade. Red Dead Redemption 2 on a Blu-ray disc. Note: available across the U.S. and Canada for $399.99 (MSRP) / $499.99 CAD (MSRP). Red Dead Redemption 2 is already looking pretty impressive in its most recent batch of screenshots, so I can only imagine how crisp it will look on the PlayStation 4 Pro. While there’s no word regarding a dedicated photo mode, you can toggle between a first and third person camera to take in the gorgeous landscapes and diverse cast of characters. Will you be picking up a Red Dead Redemption 2 bundle when the game releases on October 26, 2018 for the PlayStation 4 and Xbox One?